‘Happy Returns’ is a classic yellow daylily. Daylilies are many gardeners’ favorite plants. They are dependable perennials, they are prolific and colorful bloomers, and they are relatively free of pests. Daylilies are tolerant of drought and flooding, immune to heat stress, tolerant of most soils and grow well in full sun or light shade. They grow well in all areas of South Carolina. Daylilies can range in height from 8 inches to 5 feet, and flower size can be as small as 2 inches or as large as 8 inches. Daylilies may bloom the year that they are planted, even from a relatively small plant. They will reach mature size in about three to four years. Daylilies are long-lived if given even moderate care. ‘Stella de Oro’ is one of the best known reblooming daylilies. Daylilies are little troubled by diseases and pests. The most common disease problem is daylily leaf streak. Thrips, spider mites, aphids, slugs and snails are the main pests of daylilies. 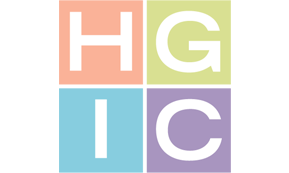 For more information see HGIC 2102, Daylily Diseases & Insect Pests. Daylilies are used for color in shrub borders and in perennial beds. They are excellent ground covers on slopes. Their roots will hold soil against erosion once established. Small cultivars can be planted in containers. Daylilies grow best in direct sun or light shade. Darker-colored cultivars should be protected from strong afternoon sun that may fade the petals. Daylilies prefer slightly acid (pH 6 to 6.5) well-drained soil with plenty of organic matter. They are however, very tolerant and will grow in almost any soil except poorly drained soils. If drainage is a problem, plant daylilies in raised beds. The best time to plant daylilies is during early fall or early spring when soil temperatures are moderate. Daylilies will tolerate planting during any time of year. Plant daylilies 18 to 24 inches apart. 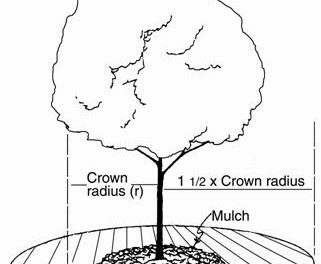 Set the plant so that the crown (the point where roots and foliage meet) is no deeper than 1 inch below the surface of the soil. Water plants thoroughly after planting, and continue to deep soak them at least weekly until established. Although daylilies are drought-tolerant once established, consistent watering while budding and flowering produces better-quality flowers. Daylilies usually grow adequately without fertilizer but grow best when lightly fertilized. They prefer moderate nitrogen and higher rates of phosphorous and potash. Slow-release fertilizers are best for daylilies. Put down fertilizer in the early spring just as new growth commences, and again in midsummer. Make sure that the soil is moist whenever applying fertilizer. Mulch helps to conserve moisture in the soil and control weeds. Daylilies grow rapidly to form dense clumps. Division is not essential but may revitalize flowering if the plants have become crowded. Division is the usual way to increase your supply of daylilies. Dividing is usually done following flowering, but plants will tolerate division throughout the entire growing season. Lift the entire clump or cluster out of the soil with a garden fork. 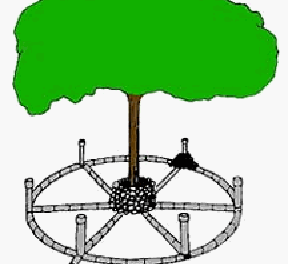 To separate a clump into individual fans (sections with a set of roots and leaves), shake the clump to remove as much soil as possible, then work the roots of individual fans apart. Daylilies look best if given some grooming through the year. During winter, remove any rotted or damaged foliage from around evergreen daylilies. Remove spent blooms and seedpods after summer flowering to improve appearance and encourage rebloom. When all the flowers on a scape (the daylilies’ flowering stalk) are finished, cut off the scape close to ground level. Remove dead foliage from daylilies as they die back in the fall. There are thousands of named cultivars of daylilies. Because of the variety of daylilies available, they have developed a language of their own. This glossary should help you find your way through the daylily description jungle. Self: The flower is the same color throughout. The stamens and throat may be different. Blend: The flower is a blend of two or more colors. Polychrome: The flower segments have an intermingling of three or more colors. Bitone: The petals and sepals differ in shade or intensity of the same basic color. Bicolor: The petals and sepals are different colors. Eyed or Banded: The flower has an area of different or darker color (called a zone) between the throat and the tips of the flower. It is an Eye if the zone occurs on both the petals and the sepals. It is a Band if the zone occurs only on the petals. It is a Halo if the zone is faint or only lightly visible. It is a Watermark if the zone is a lighter shade that the rest of the flower. Edged or Picoteed: The edges of the flower segments are either lighter or darker than the segment color. Midrib: The center vein of each flower segment. May be different in color from the rest of the segment. Diamond Dusting: The flower has a sparkling or glistening appearance as if sprinkled with gold, silver or tiny diamonds. Circular: The flower appears round. Segments often overlap, giving a full appearance. Triangular: When viewed from the front of the bloom, the flower segments form a triangle. Star: The flower shape looks like a three-pointed or six-pointed star. Ruffled: There are ruffles along the flower edges. Recurved: The flower flares, and petals roll under. Trumpet: The flower form resembles a true lily. Spider: Flowers with very narrow petals and a spider-like form. Spider form daylily flowers have narrow petals. Double: This form has more than six segments. The extra segments may appear as a tuft in the middle of the flower. They may appear as two blooms in one or a hose-in-hose effect (like some azaleas). Miniature: Flowers less than 3 inches in diameter. Small: Flowers from 3 inches up to 4 ½ inches in diameter. Large: Flowers 4 ½ inches and over in diameter. Low: The scapes are from 6 to 24 inches high. Medium: The scapes are from 24 to 36 inches high. Tall: The scapes are more than 36 inches high. Nocturnal: These daylilies open late in the afternoon, and remain open all night. Most daylilies are only open during the day. Extra Early (EE): Varies from March on the coast to early May in the upper Piedmont and mountains. Early (E): Three to five weeks prior to the mass of bloom at midseason. Early Midseason (EM): One to three weeks before the height of bloom of most cultivars. Midseason (M): This ranges from May on the coast to June in the mountains. Late Midseason (LM): One to three weeks after the height or peak of bloom in your garden. Late (L): Four to six weeks after the peak of the season. Very Late (VL): These daylilies are the last to bloom in late summer or early fall. Rebloomer (Re): These daylilies bloom more than once during a single season. Everblooming: These daylilies bloom repeatedly through the summer and may have very little or no time between flushes of bloom. Dormant: The leaves of these daylilies die completely back as winter approaches. Evergreen: These daylilies retain their leaves throughout the year. In mild climates, the leaves of evergreens remain green all winter. Semi-Evergreen: This is an intermediate classification. In general, evergreen types will do better in hot climates with very mild winters and dormant types prefer colder areas. Both types will grow in South Carolina. Tetraploid: These daylilies have twice the normal number of chromosomes. They have larger flowers than most daylilies. Colors are often more intense. Scapes tend to be sturdier and stronger. Diploid: These daylilies are considered by some to be more graceful in form. Spider and double daylilies are more commonly diploid. Diploid flowers though usually smaller are also more numerous per plant. There are more diploid daylilies than tetraploids. Hybridizers have made great improvements in daylilies. The only colors originally were yellow, orange and a brassy reddish color. The daylily color range now includes palest lemon, bright yellow and gold, orange, scarlet, carmine, maroon, wine-reds, pale pink, rose, lavender, lilac, grape, and melon. Whites and blues are the only colors still unavailable in daylily flowers. Near-whites are found among the palest tints of yellow, pink, lavender or melon. When choosing daylily cultivars, consider that light-colored flowers show up better at a distance than darker ones. Dark-colored varieties look better when planted against a light backdrop. The following cultivars are just a few of the thousands that do well in the South. The Stout Medal is the highest award given to superior quality daylilies. ‘Always Afternoon’ has rich lavender-mauve full-petaled blooms with ruffled edges. Eye zone is deep purple, throat is green. Scapes are well-branched. It is a strong re-bloomer and a Stout Medal winner. Midseason, 5½ inch blooms, 22 inches tall, semi-evergreen. ‘Barbara Mitchell’ has brilliant pink, full-petals, with a narrow green throat. Not recommended for the coast. Early mid-season, reblooms, 6½ inch flower, 20 inches tall, dormant. Stout medal winner. ‘Catherine Woodbury’ has fragrant pale lavender-pink blooms with a chartreuse throat, extended bloom. Slightly ruffled petals. Late midseason, 6-inch flowers, 30 inches tall, dormant. ‘Dragon’s Eye’ has pink flowers with a large red eye zone. Voted best small flower for 1997. Late midseason, 4-inch blooms, reblooms, 24 inches tall, semi-evergreen. ‘Fairy Tale Pink’ has creamy pastel pink, ruffled petals with deeper pink veins and a green throat. It does not fade in sun. Midseason, 5½ inch flowers, reblooms, semi-evergreen. Stout medal winner. ‘Gentle Shepherd’ is one of the closest to white of all “white” daylilies, with a green throat. Early mid-season, 5 inch flower, reblooms, 29 inches tall, semi-evergreen. ‘Happy Returns’ is a descendant from ‘Stella de Oro’ but with lemon yellow flowers. Extra early, very dependable rebloomer from spring until frost, 18 inches tall, dormant. ‘Hyperion’ is lemon yellow self; with a delightful fragrance; one of the best-known classic yellow daylilies. Midseason, 5½ inch blooms, reblooms, 40 inches tall, dormant. ‘Joan Senior’ is a near white, with a small lemon eye zone, delicately ruffled petals, one of the best and most famous of the “white” daylilies. Early midseason, 6-inch blooms, reblooms, 25 inches tall; evergreen. ‘Jolyene Nichole’ is a rose blend with deeper rose veins and green throat. Midseason, 6-inch blooms, reblooms, 14 inches tall, evergreen. ‘Kwanso’ is an orange double with overlapping petals. This is a variety of the common Tawny Daylily (H. fulva) that is naturalized throughout the South in ditches and roadsides. ‘Kwanso’ is often found growing wild around old home sites. Midseason, 5-inch blooms, 30 inches tall, dormant. ‘Little Grapette’ has light grape-purple flowers. Early season, 2-inch flowers, 12 inches tall, good for front of the border. ‘Mary Todd’ has golden yellow ruffled, 6-inch blooms, early to midseason, tetraploid, 24 inches tall. Stout medal winner. ‘Pardon Me’ has fragrant bright red flowers with yellow throat, midseason, 3-inch flowers, rebloomer, 18 inches high. ‘Prairie Blue Eyes’ has lavender flowers with yellow throat, about 5 inches wide, early to mid-summer; 28 inches tall. ‘Siloam Double Classic’ has very fragrant pink double flowers with a yellow green throat. Early midseason, 5-inch blooms, reblooms, 16 inches tall, dormant. ‘Stella de Oro’s’ a 1985 Stout Medal winner famous for its extended bloom period. Yellow gold blooms. Early midseason, 2¾-inch blooms, reblooms from late spring until fall, 14 inches tall; dormant. ‘Black-eyed Stella’ is similar to ‘Stella de Oro’ only with dark red eye. ‘Strawberry Candy’ has pink petals with a red band around the ruffled edge. Early midseason, 5½-inch flowers, reblooms, 26 inches tall, semi-evergreen. ‘Wedding Band’ is white with a gold edge. 1996 Stout Medal award winner. Midseason, 5½-inch flower, reblooms, 26 inches tall, semi-evergreen. Several other species of daylilies are also popular in South Carolina. Although Tawny Daylily is seen everywhere and is virtually indestructible, it can not be recommended for most gardens. It is a bit too indestructible and is able to spread far too rapidly. The species below are well-behaved, graceful plants. Lemon Lily (Hemerocallis flava, H. lilioasphodelus): Lemon yellow fragrant flowers on tall scapes open at dusk and fill the garden with their sweet perfume. Citron Lily (H. citrina): This sweetly lemon-scented species blooms at night. It grows about 3 feet tall and is a strong, vigorous plant. There are many, many more daylilies for you to choose from; these are just a small sampling. Daylilies have come a long way from the common “ditch lily” of roadsides.